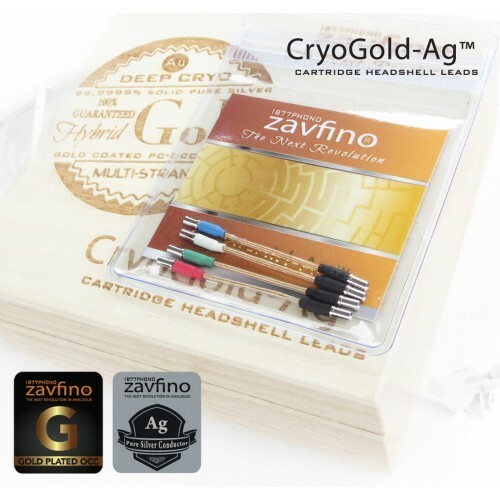 CryoGold-Ag uses a mix of rare gold plated PC-OCC copper and pure silver fine strand wires. 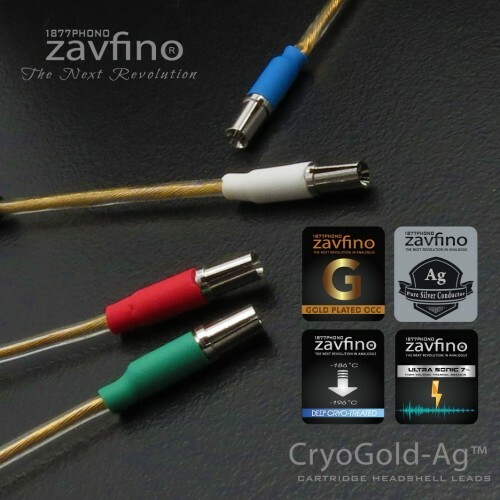 Both raw conductors are cryo treated before extrusion and are put through are Ultra-Sonic7 cleaning process before stranding and extrusion takes place. When dealing with high purity wires at these fine sizes, fine particles, oils, and drawing residue left on the wire can greatly effect performance so we take great care every step of the manufacturing process to ensure wires are pristine before processing. 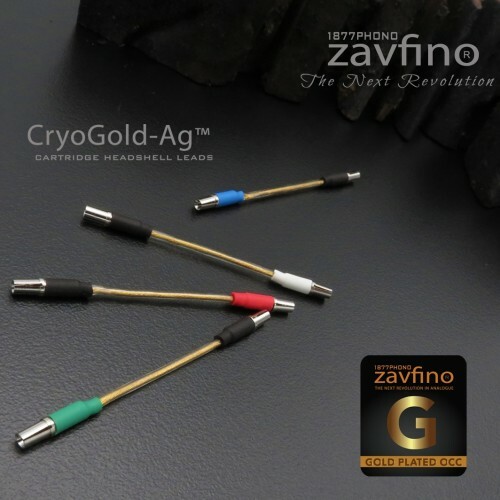 Each lead is hand assembled with our OFHC Rhodium/Silver plated Fitclips using a minute amount of high silver content (8% pure silver + copper) solder. 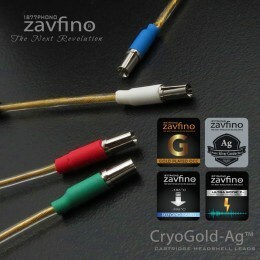 Designed for the most demanding tonearms on the market.